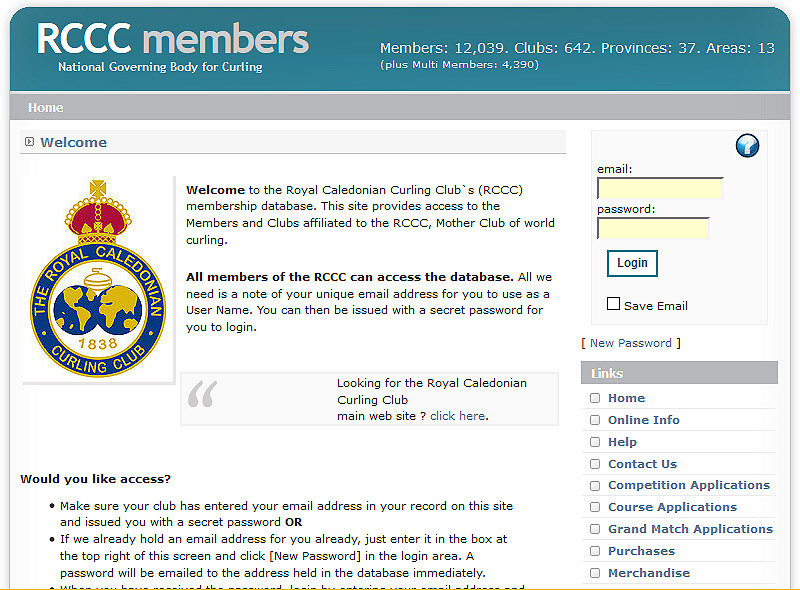 This online database has over 12,000 individual members of over 600 Curling Clubs, each member able to amend and update their own details. RCCC Aministrators have complete access to clubs, members, Provinces and Areas. Each year club invoices are generated and sent automatically to each club identifying the fees for each club. Members can email all members within their club. Anybody can send an email to club secretary to allow that club to be contacted. All email addresses are hidden to prevent spammers getting hold of private information. Competition entires and online payments can be accepted.